We all know that the Wright brothers were responsible for securing patents on a number of inventions that, as a whole, ushered us into the age of flying. But do you know who to thank for cotton candy or the ball point pen? What about bubble gum or Liquid Paper? In 1943, engineer James Wright was looking to patent a synthetic rubber to aid in the war effort. Though he could see no use for the bouncy substance he created, Peter Hodgson, his coworker in marketing recognized the product as a potential bestseller. What was it? Silly Putty! Another byproduct of the war effort was a device created by Richard Wright to support sensitive equipment aboard ships. What was it? Slinky! Ever play with Lincoln Logs as a child? They were invented by John Lloyd Wright in 1916 and patented by him in 1920. If the name sounds familiar, it should. John's father was the architect Frank Lloyd Wright. Remember Liquid Paper? In the days of typewriters, this substance was a typist's best friend. The white liquid was based on tempra paint and patented by Bessie Nesmith, a Texas artist and secretary. Perhaps you've heard of her son Michael? You would know him as Mike Nesmith of the Monkees. Frances Gabe of Newport, Oregon, lives in a house where each room has a special device secured to the ceiling. One push of a button and the room is sprayed with soapy water then doused with clean water to send the suds sliding down the sloped floor into the drain as the room is blown dry. Anything of value is safely hidden away under glass where the cleaning and drying process cannot harm it. Dishes are cleaned in the cabinets and clothes are washed in the wardrobe. Sinks, tubs, and toilets feature self-cleaning devices as well. In all, Ms. Gabe holds almost one hundred patents, most of which are incorporated into her home. And she lives in a self-cleaning house! Cotton candy was invented by William Morrison and John C. Wharton of Nashville, Tennessee in 1897. The first ballpoint pen was created in 1935 by the Biro brothers, a chemist and a scientist. A ballpoint marker was created in 1888 and used for marking leather, but that device leaked and found no practical use outside of its original purpose in the leather industry. Bubble Gum was invented by Frank Henry Fleer in 1907. He called the gum "Blibber Blabber" but it was not commercially successful owing to the fact that it was deemed too sticky to enjoy. Walter E. Diemer perfected the gum in 1928 with a creation he called "Double Bubble". And the rest is history! Bestselling author Kathleen Y’Barbo is a Carol Award and RITA nominee of forty-five novels with almost two million copies of her books in print in the US and abroad and nominations including a Career Achievement Award, Reader’s Choice Awards, Romantic Times Book of the Year, and several Romantic Times Top Picks. A proud military wife and tenth-generation Texan, she now cheers on her beloved Aggies from north of the Red River. 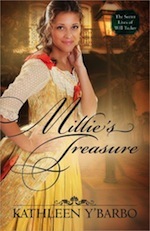 Her latest novel, Millie's Treasure, a tale of Pinkerton inventors, Jean Lafitte's pirate treasure, and one determined Memphis belle is available now. 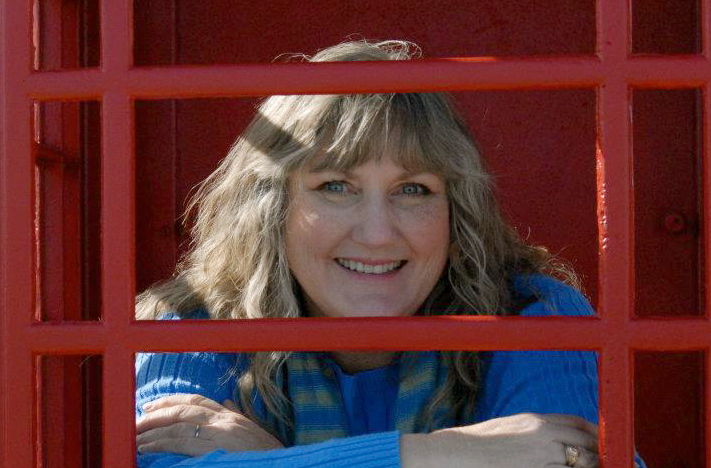 To find out more about Kathleen or purchase any of her books: www.kathleenybarbo.com. Kathleen, what a fun post. I love these tidbits of history. Here's another random invention: chewing gum. The man credited with bringing it to the U. S. (New Yord) was none other than Santa Anna of Alamo infamy. You can read about it here: http://en.wikipedia.org/wiki/Antonio_L%C3%B3pez_de_Santa_Anna#Later_years. Good morning, Kathleen, what a wonderful, fun way to start the day. Thanks. My gracious! And it didn't kill them? You'd think that tar would be full of so many poisonous things that it could hurt a person whether they ingest it or not! BLECH!! Oh to have a self cleaning house! (Sigh) Heck, to have a self cleaning anything!! And God bless Mr Morrison and Mr Wharton for that fabulous gift-and only occasional treat-of cotton candy! Thanks for a great post Kathleen! Now you've got me looking into some of my fave inventions! Lincoln logs! I also had to buy some for my son when he was young.